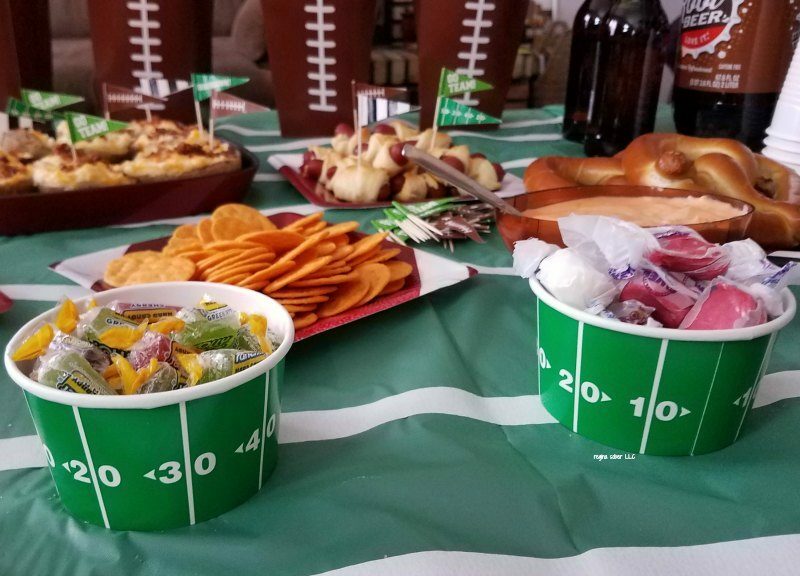 It’s time to get your game grub on. 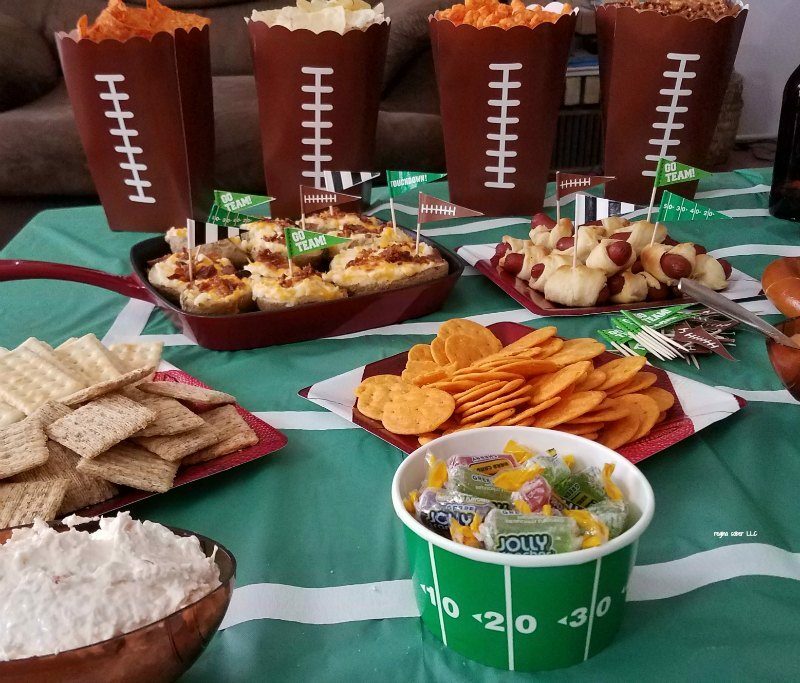 Check out these football party ideas. 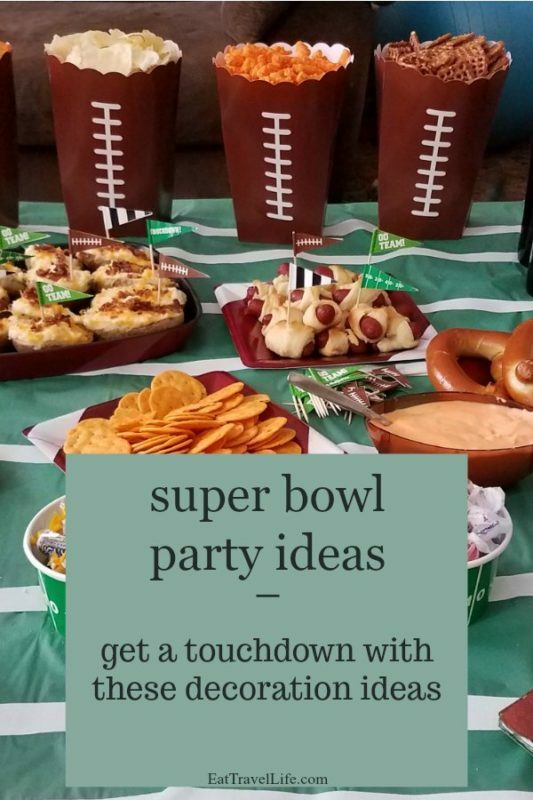 These are a perfect day to decorate for your super bowl party. 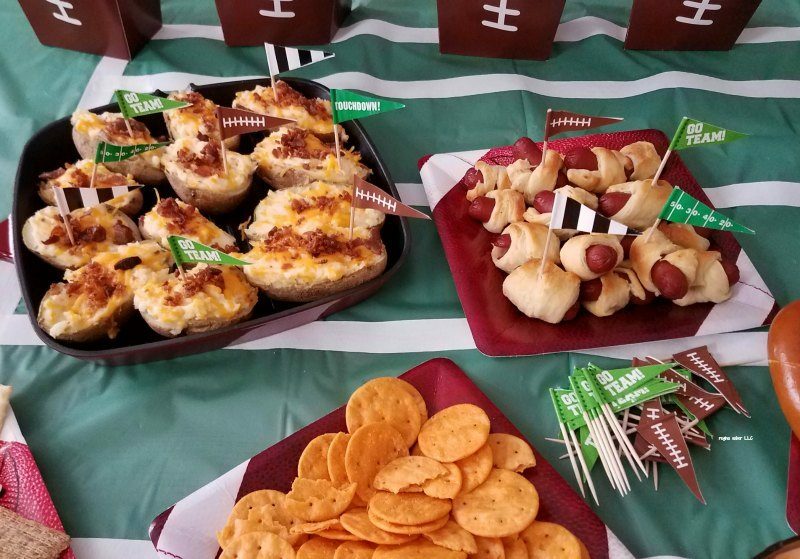 Time to get your game day grub on. It can be stressful to plan everything out. You will want to keep it simple, but show that you have game spirit. 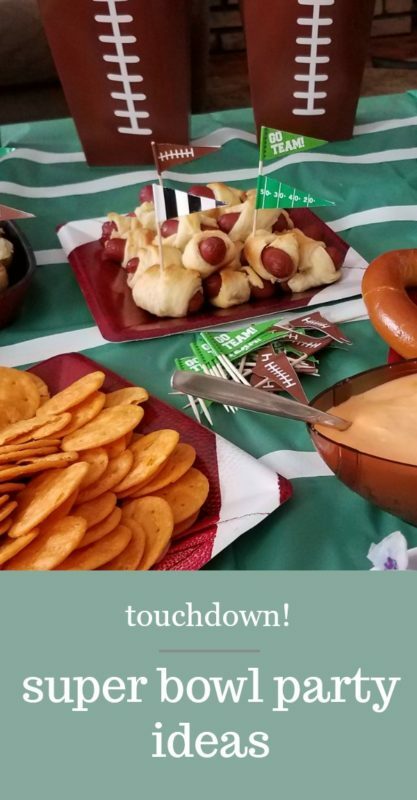 We used simple decorations for our food. 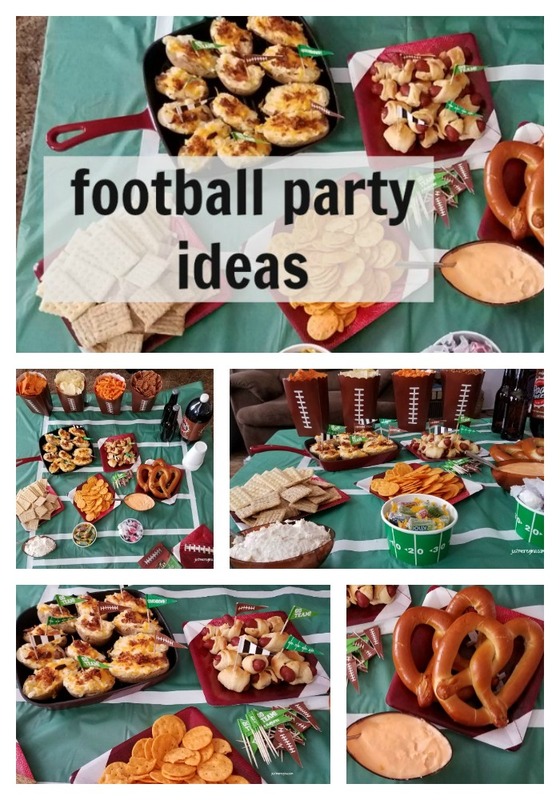 These would be easy for a football birthday party too! 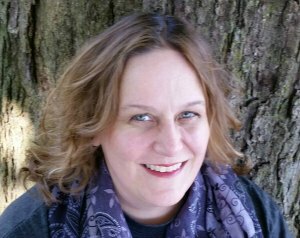 Check out how you can do it simply too. 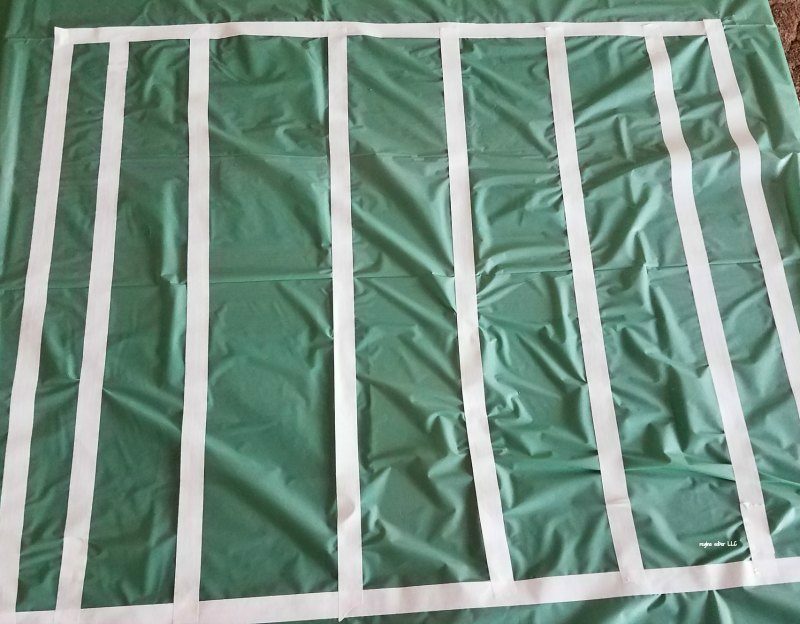 a green tablecloth and white tape make your football field. Take the tablecloth and cut it to the appropriate length. Run tape down the outside of it in a rectangle. Then run longer strips down the inside like the yard lines. You can include numbers, but honestly, there is going to be food covering it, this is going to be enough effort here. Layout your food in eye pleasing display. Chips can go in the back, dips in front, warm food in the middle. Drinks to one side near the cups and plates and napkins. 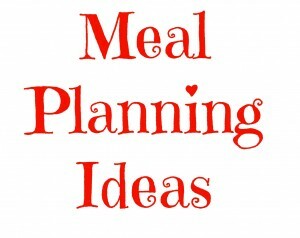 Your menu should be finger food. No silverware required and easy to make in batches. 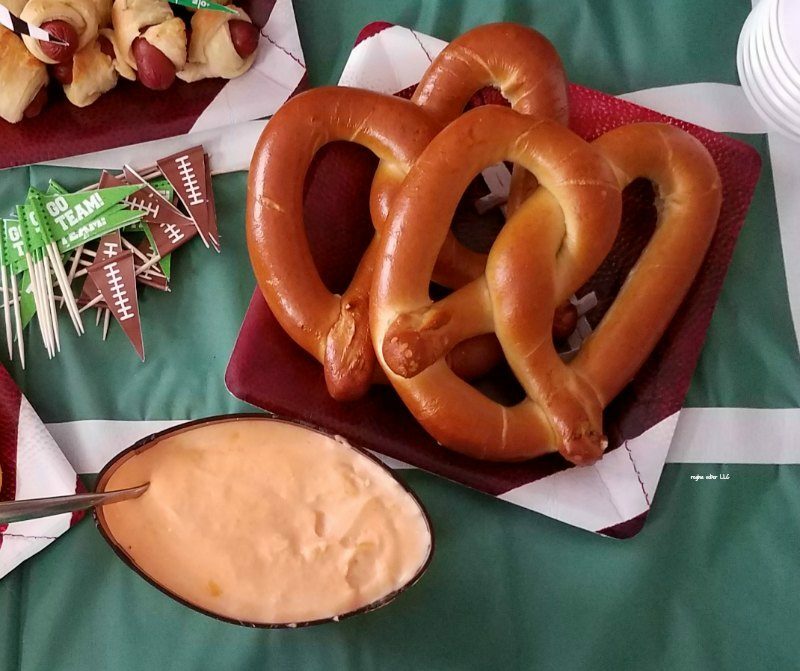 We served up chips, bacon twice baked bacon potato skins, pigs in a blanket, crackers and dip, pretzels and beer cheese dip. Don’t forget the candy! For beverages serve your favorite beer and soda pop. 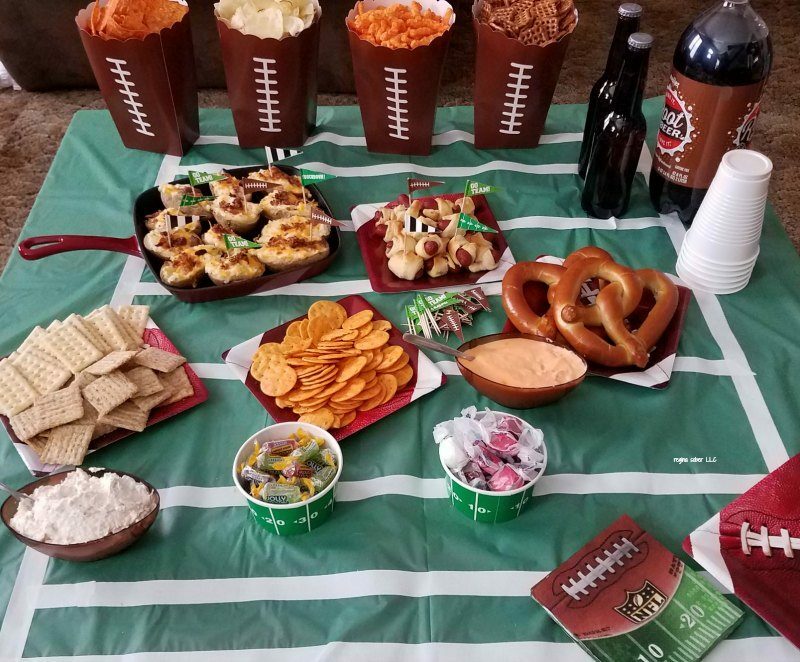 We placed all of this on our coffee table for everyone to reach during the big super bowl game.